I was touched to learn that after almost 8 years, people were still talking about our rendition of 'Always... Patsy Cline'. We are happy to join the RECT to bring it back to the stage in April 2018. Thank you so much for all of your support. 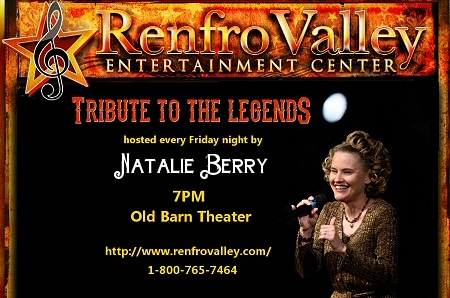 Every Friday night faNATics can catch me on the Renfro Valley Old Barn Stage as I host The Tribute to the Legends. 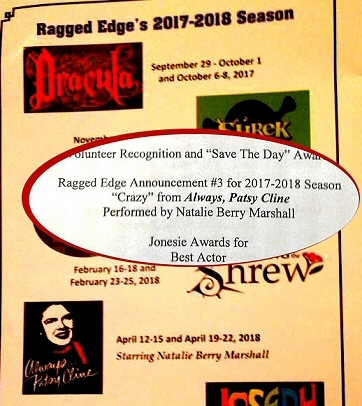 Visit renfrovalley.com for more details! Call Me Colonel! 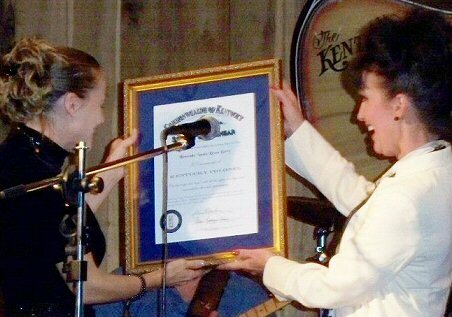 I was honored to receive a commission as Kentucky Colonel from Gov. Steve Beshear. Many thanks to State Rep. Kim King for presenting me with my certificate.